Hotel is 6 miles from Cleveland Airport with complimentary shuttle service. Located in the center of Westside Business District-across the street from Great Northern Mall. Only 15 miles to downtown Cleveland. Full Service hotel featuring oversized deluxe accommodations & suites. 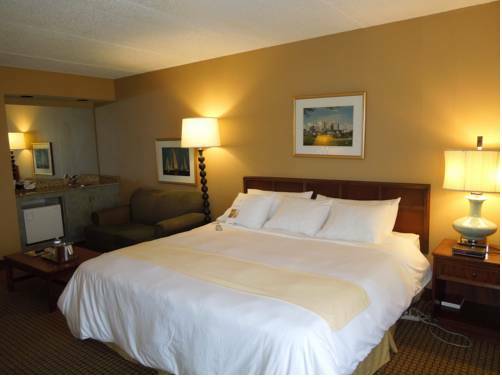 Newly carpeted guest rooms and completely renovated bathrooms. Complimentary WIFI throughout hotel. Full Service Restaurant, and free parking. Chili's: -Located .10 miles from hotel. Macaroni Grill: -Located .10 miles from hotel. Red Robin: -Located .10 miles from hotel. Kingston Room: -Total of 2328 square feet of space. Three meeting/party rooms. Largest room accommodates up to 125 people. -No ballrooms. Brown's StadiumHome of the Cleveland Browns NFL football.